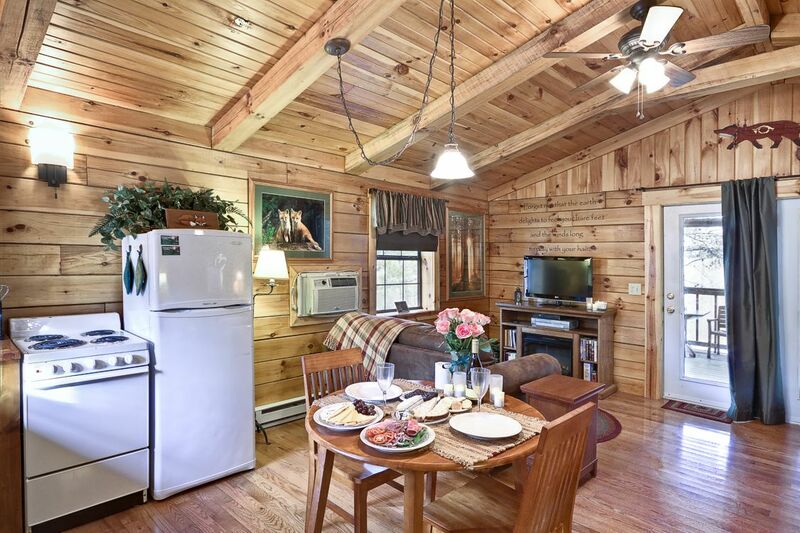 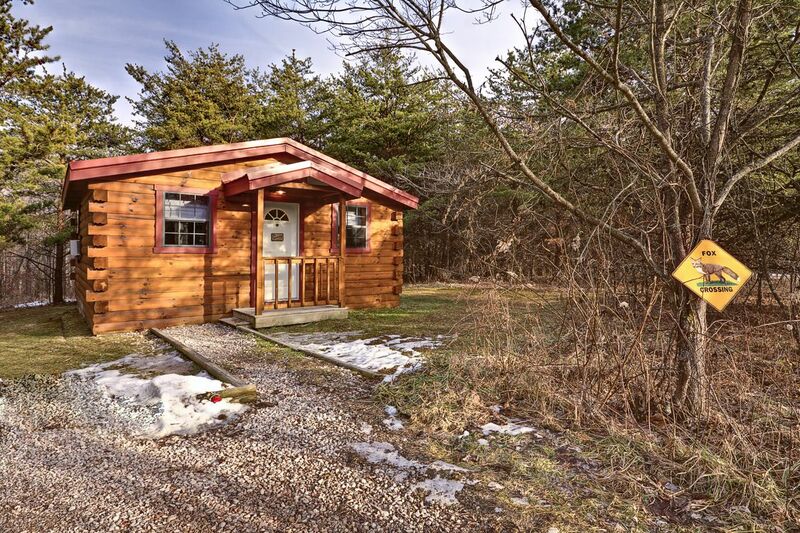 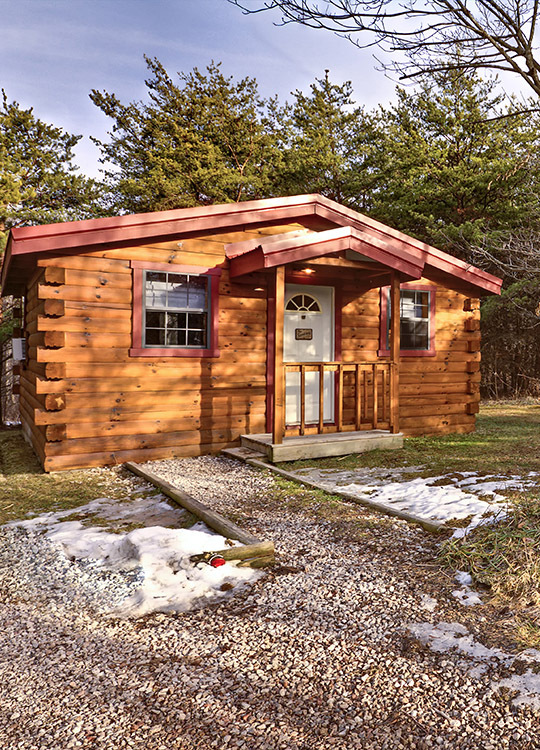 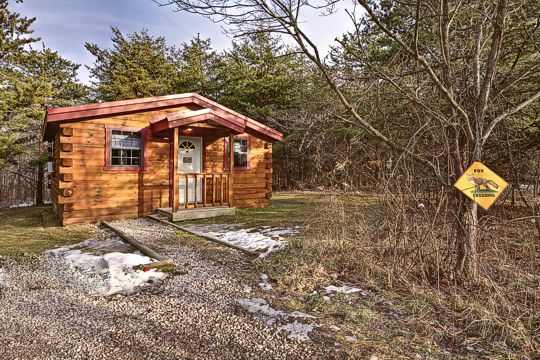 Fox Run is a one room log cabin at our Bishop's Ridge location. 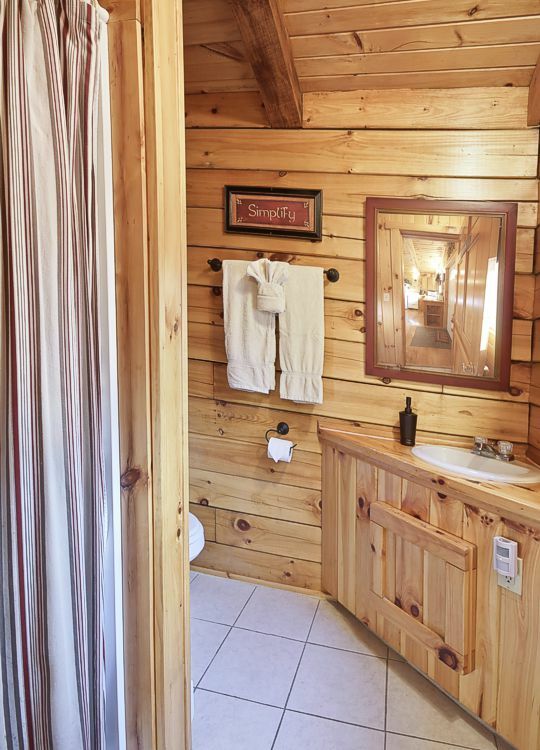 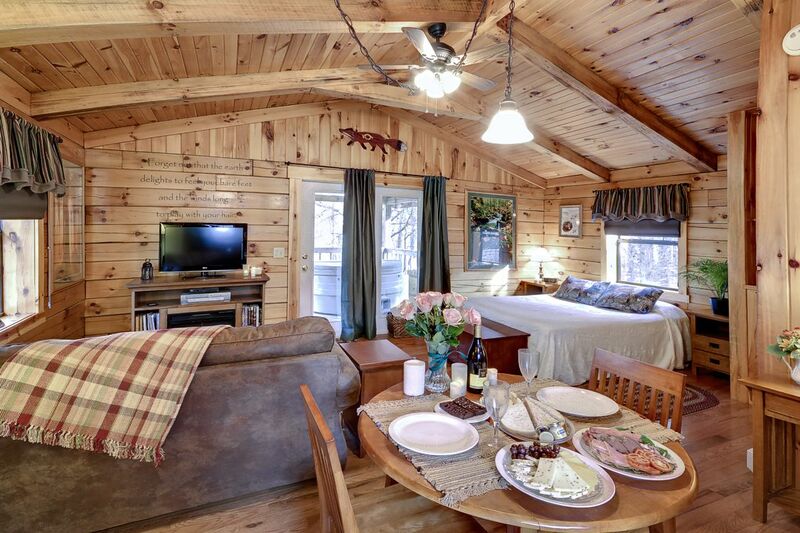 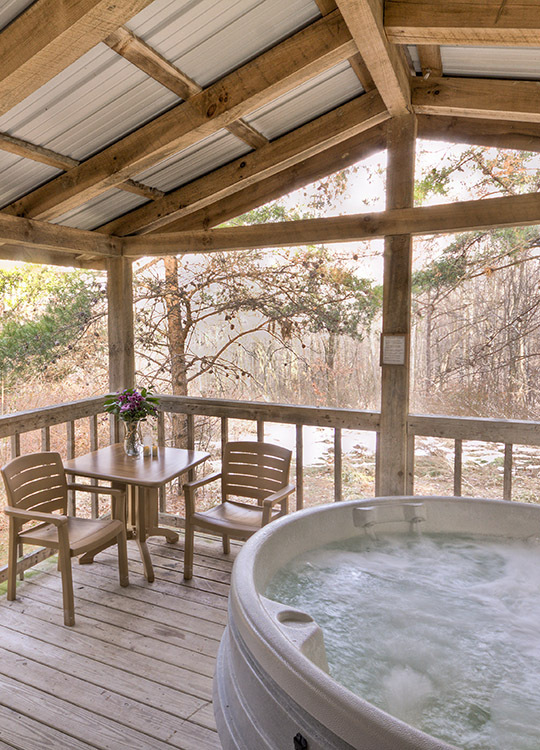 This 2 guest cabin features an outdoor hot tub, electric fireplace, DirecTV, VCR/DVD, gas grill, AC, ceiling fan, and full kitchen. 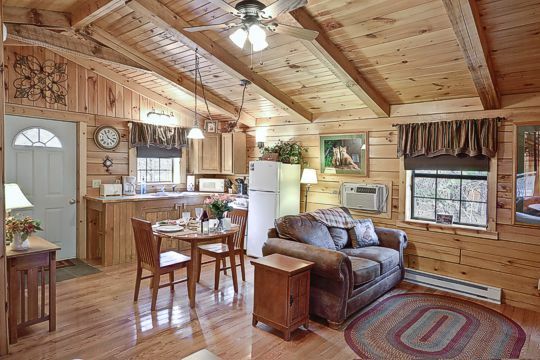 Pets are accepted and a community phone is available that offers toll free long distance calls.